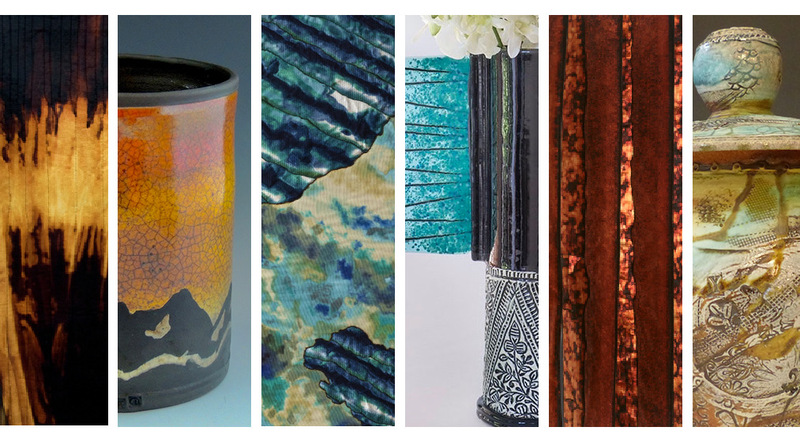 The Center for the Arts Evergreen is pleased to present Cloth and Clay: Textural Explorations. The exhibition is collaborative effort between renowned fiber artist, Regina Benson, and the members of the Mountain Area Potters Gang (MAPG). The exhibition highlights the juxtaposition of hard ceramics to ethereal fiber surfaces; demonstrating the varied textural relationships.